Inspired by the Breast Cancer Awareness (BCA) post regarding the items I purchased at Ulta, I am challenging myself to wear one or more pink items for the rest of the month of October to show support to the cause. I know this is not going to make much of a difference to the cause but it’s my own little way of showing support. I am dedicating this effort to a really good friend who is a survivor of breast cancer; she is a remarkable woman who battled breast cancer and won! Also, this is probably not much of a challenge for me (I say that now) because I do love pink; we’ll see how creative I can get 🙂 Next year, I will try to do it for the entire month of October. 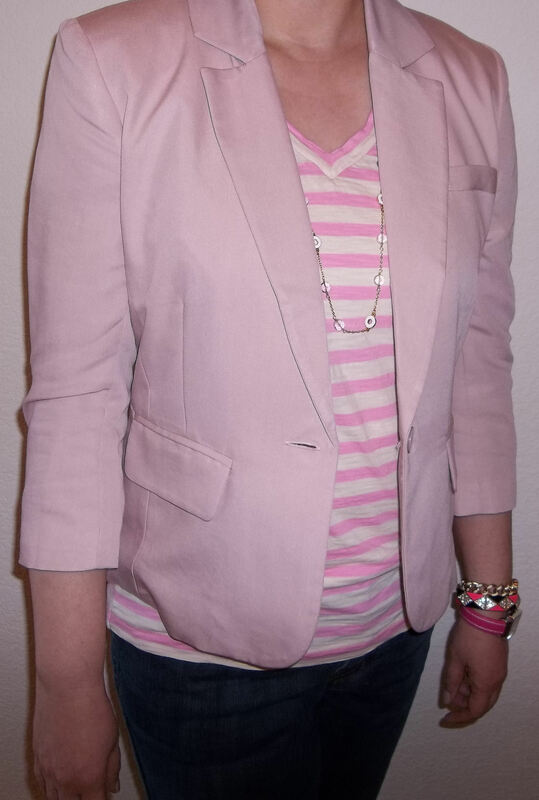 The first outfit of this 16 day challenge (from today 10/15 until 10/31/12) is a simple blazer/tee/jeans combo that seems to be my daily uniform. I am lucky enough to be able to dress casually at work w hich gives me a lot of freedom to either dress down or up. What do you think of this challenge? 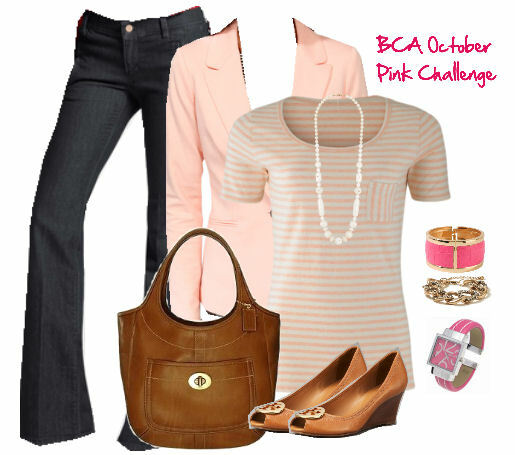 Do you have any pink wardrobe items you can wear for the month of October to support the cause?